This week has been interesting to say the least. Lots of projects and world events happening at the same time. All of us here at Glass With a Past (including the felines) have been watching the fires in the west and the storms in the south with heavy hearts. For all of our friends and glass family in those areas, please know we are thinking of you, and please do whatever you need to stay safe! For glass friends and family in less threatened areas, please consider supporting one of the many non profit aid agencies (of your choice) that can help our fellow artists and citizens recover. 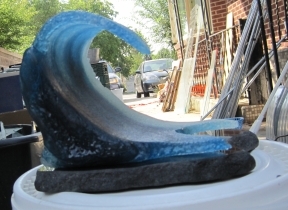 I like CERF+, the Craft Emergency Relief Fund, to help artists and crafts people recover from emergencies and disasters. And we’re back with more questions from readers for Q & A Monday. 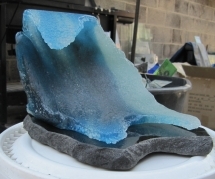 Today’s questions are all about working with crushed recycled glass, or frit. I’ve left out the personal details for privacy, so if one of these questions is yours and you’d like attribution and a back link, please let me know. If you have a burning (melting?) glass question, send it on over. I may even have an answer for you. The great thing about Q & A Monday is I have to do it on MONDAY. If it were just called Q & A then I would put it off and we would never get to the questions and answers! These questions are from readers and the answers that I sent back to them. They are offered here as an informational resource, and maybe, if you have a question of your own, you’ll be inspired to ask (don’t be shy). I’ve removed personal details for privacy, if you asked a question and want attribution and a back link, let me know. It all started out innocently enough; we were trying to figure out a way to modify the Self Portrait Paperweight project for the Hawthorne ELP Artist Residency. Originally I had planned to have the kids make a clay positive face, then pour a plaster/silica mix mold for each one before doing a pot-melt with recycled bottle glass. The hassle factor was high, as were the potential material costs. Then it dawned on me, what if the kids made a reverse portrait with clay, I put it at the bottom of a standard size mold, and the glass melts down in. Reusable molds (in this case, extra deep terra cotta saucers, of which I own exactly 3, but which are cheap and readily available). Problem solved! Except no one makes the saucers anymore. When I bought mine they were everywhere! I discovered this after submitting my final proposal. Nowhere in town, nowhere on the web. I’m sure I could have found them eventually, but not in the quantity that I needed (30). So, to further complicate the process, I decided to make the saucers. It’s only 30 or so, I have a ceramics kiln and how hard could it be. Turns out, not very hard, I made some nice octagonal saucers that fit on my kiln shelf nicely. The first class to make the portraits is the 6th grade. They have a great time, understand the concept and do good work. Back to the studio go the faces. But there is a problem, what is going to become known as the infamous gap. 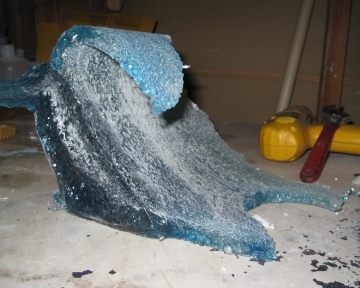 Often I get questions regarding the molds I use to make recycled glass tiles. There are two types of molds that I use, stainless steel and ceramic. I make both types and each has its strengths. 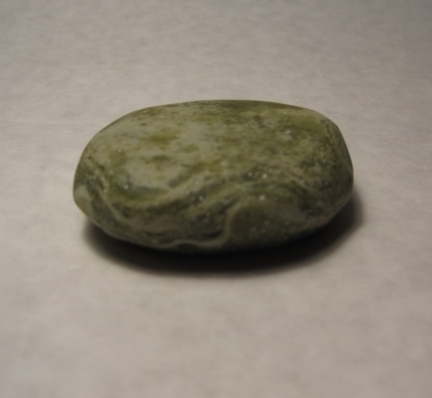 Follow along as we walk through all of the steps of creating 100 paperweights. Step 1: Client meeting. Wendy found my website and asked if I would be interested in making a big ‘ole batch of paperweights for her. After talking over the main feel, we made a few different styles for Wendy to consider.